Cardiff City made a flying start to the season, with the team recording back-to-back wins over Burton and Aston Villa in the Championship, while beating Portsmouth in their League Cup opener. The Bluebirds obviously have big ambitions for the 2017/2018 season and they will be looking to keep their 100% record in the league intact when they host Sheffield United at their Cardiff City Stadium. Canada international Junior Hoilett opened his goal-scoring account against Aston Villa and all eyes will be on him when the two teams face each other in Wales. The Blades are not regarded as good travelers and they are unlikely to spoil Cardiff’s party in Tuesday’s football match. 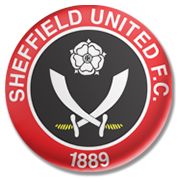 It has to be noted that Sheffield United suffered a 1-0 loss to Middlesbrough at Riverside Stadium in their first away game of the season. In their last meeting in the English second tier (2011) the Bluebirds emerged triumphant. Bruno Ecuele Manga is a defender who plays for Cardiff City and the Gabonese national football team. The player who was born on 16 July, 1988, began his senior career at FC 105 Libreville. In 2006 he signed a contract with Bordeaux B, making 40 appearances for the French outfit, but he did not play for the senior team. Manga played for the likes of Rodez, Angers and Lorient in France as well before joining Cardiff City on 1 September, 2014. The Gabonese defender signed a €5 million deal with the Championship side. On 1 November, 2014 Manga scored his first goal for the Bluebirds, finding the net in a 3-1 victory over Leeds United. Bruno Ecuele represented Gabon at the 2012 Summer Olympics in London, but les Pantheres were eliminated in the group stages of the tournament. Speaking of his individual honours, Manga was named Cardiff City Player of the Year for the 2014/2015 season.